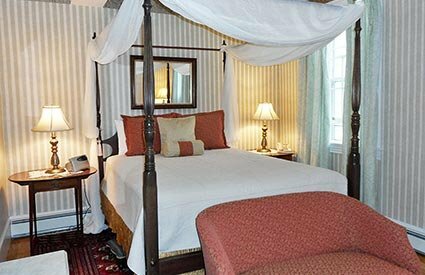 Conveniently located on the ground floor of the attached Carriage House, it has a queen four-poster bed draped in soft cream fabric. 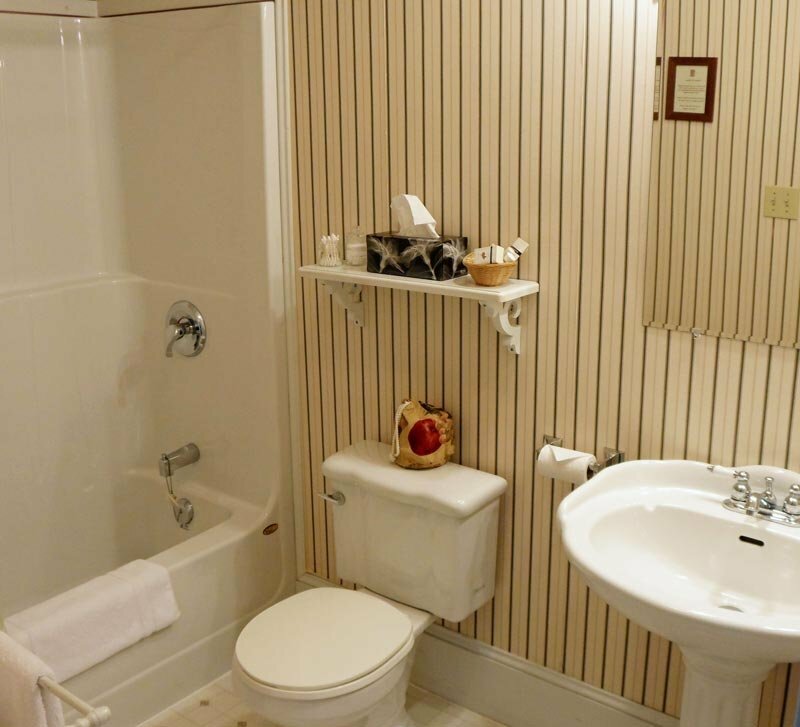 Hardwood flooring with a Persian rug and a bright private ensuite 4 pc bath complete this room. 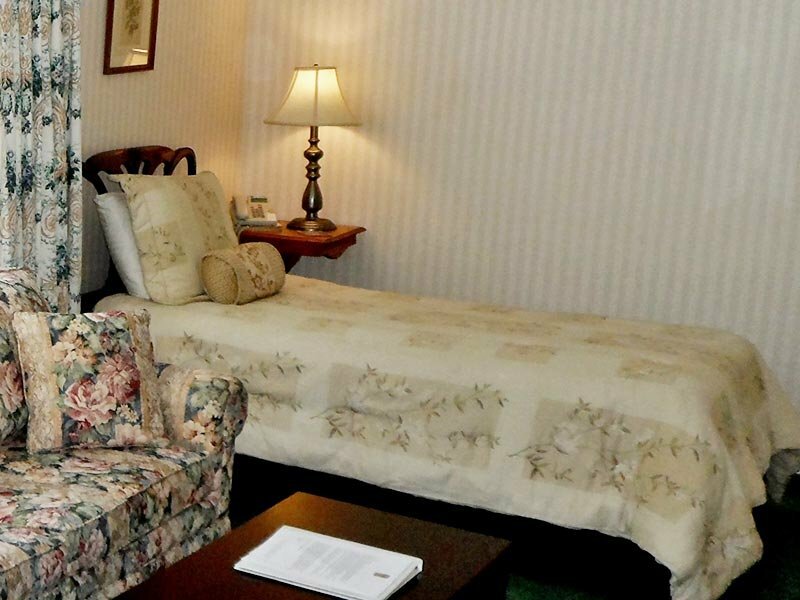 The room is air conditioned and has a flat panel TV, telephone and CD clock radio. 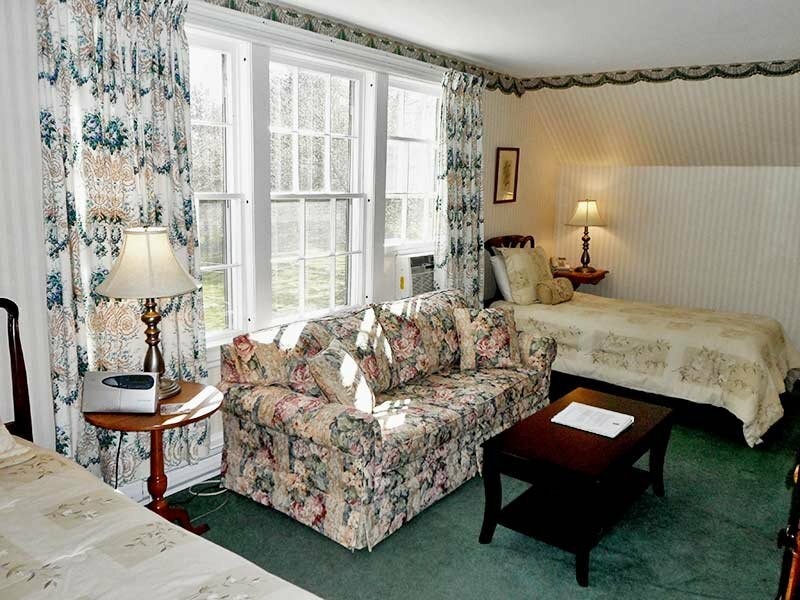 Adjacent to the side entrance and parking lot provides easy ground level access to this room. 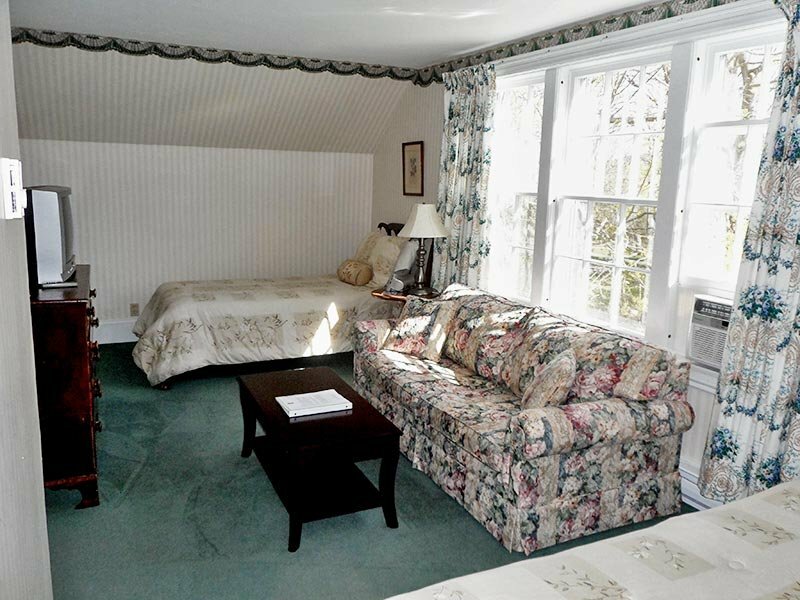 The room is located on the 2nd floor of the attached Carriage House. 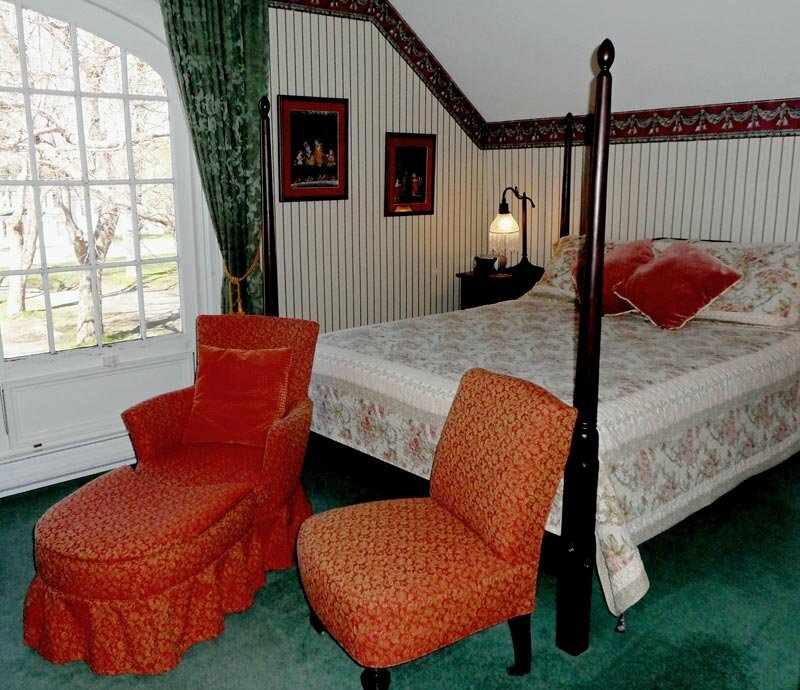 It has a queen four-poster bed and ensuite 4 piece bath. Large windows face the front of the property. 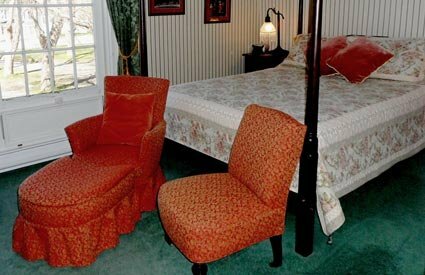 Decorated with antiques; this is a comfortable quiet room. 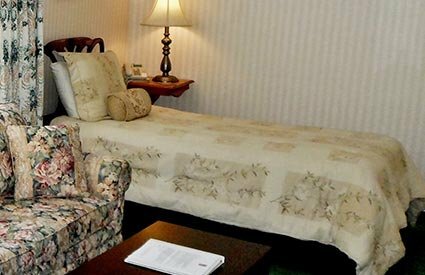 The room is air conditioned and has a flat panel TV, telephone and CD clock radio. This room connects to the adjoining Room 15. 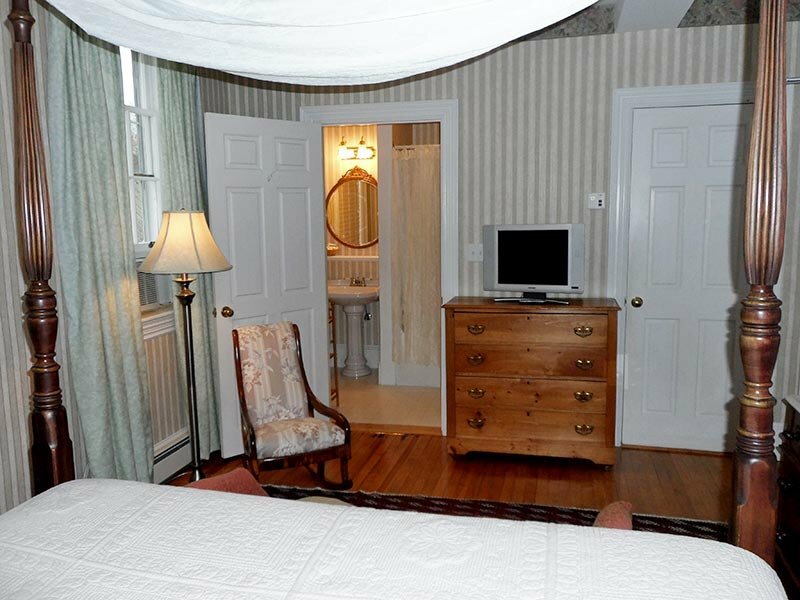 This room is located on the 2nd floor of the attached Carriage House. It has 2 twin beds with a sitting area between. Large windows provide a bright airy space overlooking the back grounds. 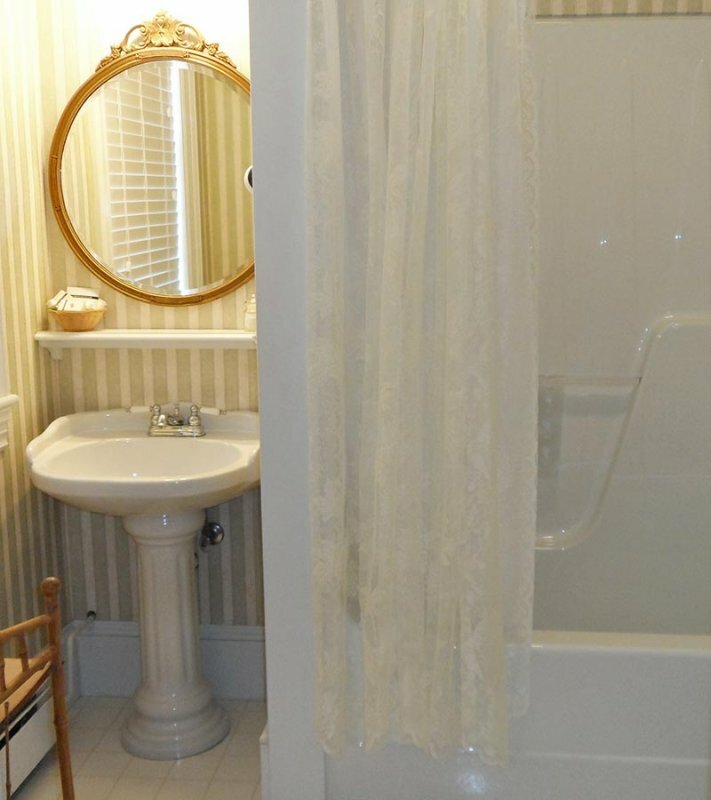 There is a private ensuite 4 pc bath, with skylight. 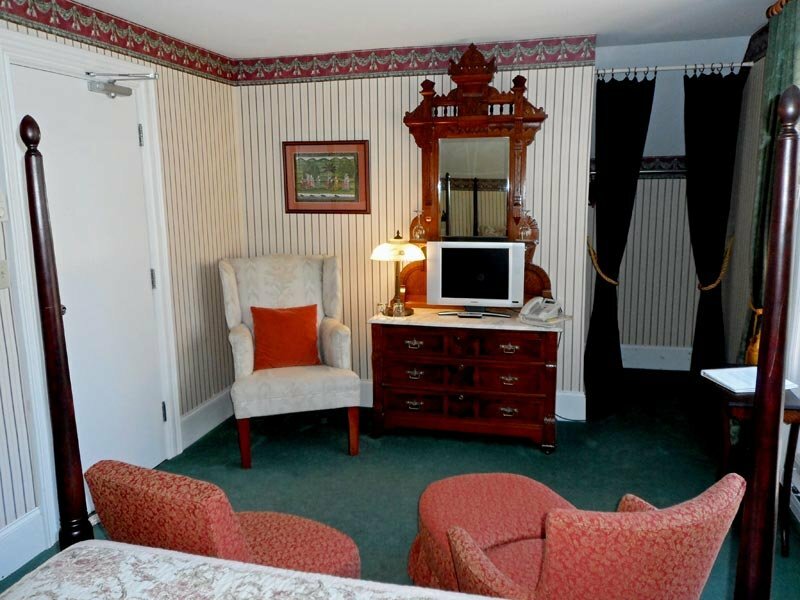 The room is air conditioned and has a TV, telephone and CD clock radio. 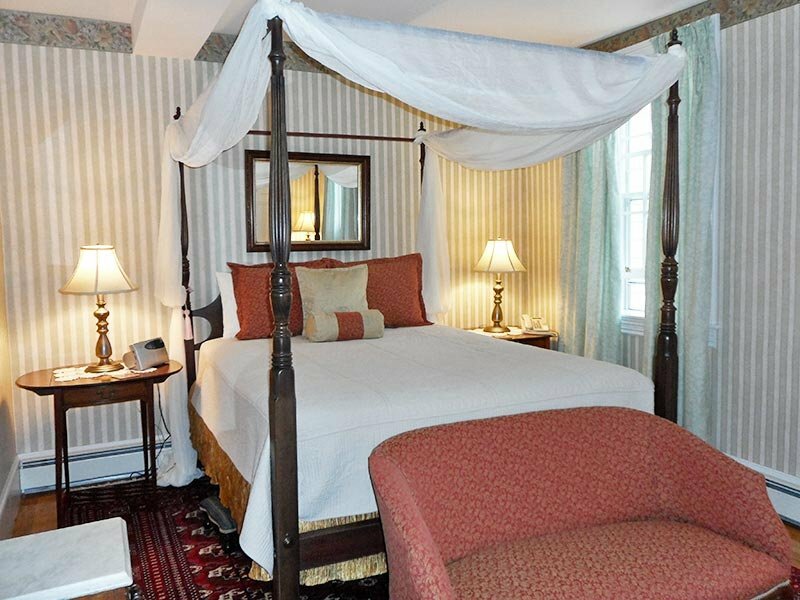 This room connects to the adjoining Room 14, making it an excellent choice for families or couples traveling together.